The future of our society with drones? 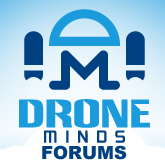 Discussion in 'General Drone Forums' started by UbiBird, Mar 9, 2017. As someone who is creating a service that requires the use of drones, I find myself mentally creating a future that makes drones ubiquitous. I'm not sure if its just me living in fantasy land or a drone geek that really wants this to be a part of our daily lives.Thoughts?